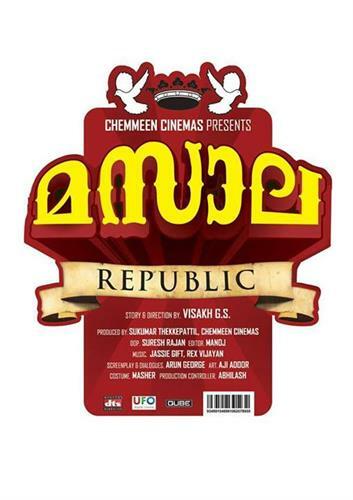 Masala Republic malayalam movie to be directed by debutant V S Vishakh will feature Indrajith Sukumaran in lead. The movie will be a social satire creamed with all essence to keep the audience intact. Shritha Sivadas, Srinda Ashab, Balachandran Chullikkadu, Vinay Forrt, Captain Raju, Mamookkoya, Tinu and Soubin will give life to other prominent characters in the movie. The movie will start rolling very soon with locations set at Perumbavoor, Aluva and Ernakulam. Indrajith is riding high with a number of movies in kitty. After donning the role of police officer in Meesa Madhavan, Police and Arun Kumar Aravind's Left Right Left, the actor is gearing up to keep his feet strong in the film industry giving life to yet another interesting character. The actor will be yet again seen as a police officer in V S Vishakh directorial debut 'Masala Republic'. The movie will be a social satire creamed with all essence including humour to keep the audience intact. Shritha Sivadas, Srinda Ashab, Balachandran Chullikkadu, Vinay Forrt, Captain Raju, Mamookkoya, Tinu and Soubin will give life to other prominent characters in the movie. The movie is produced by Sukumar Thekkepaattil under Chemmeen Cinemas Banner. The movie is blessed with the music set by Jassie Gift and Rex Vijayan. With locations set at Perumbavoor, Aluva and Ernakulam, the movie has started rolling today. The actor who made his big screen debut with Oomappenninu Uriyadappayyan has acted in more than 50 movies during his 10 years of experience in the industry. While looking back at the works, Indrajith has done a great job experimenting with a wide range of roles. Some of his notables movies are Chotta Mumbai, Classmates, Chanthupottu, Twenty:20, Happy Husbands, Veettilekulla Vazhi, Ee Adutha Kaalathu and Akasathinte Niram. His recent releases like Amen, Left Right Left, Ezhamathe Varavu and Kaanchi got well reception at the box office and ther actor received positive response for his majestic performance. The upcoming releases of Indrajith include Vedi Vazhipadu, Nakku Penta Nakku Takka, Disco and Anti Christ. 'Vedi Vazhipadu' zooms into the some incidents which take place on a day of Attukal Ponkala which is one of the most important and religious celebration in Kerala. Indrajith will play the leading role in the movie along with Murali Gopi, Saiju Kurup, Dinesh Paniker, Mythili and Anusree doing other prominent roles. Indrajith is busy with the last schedules of Naku Penta Naku Taka directed by Vayalar Madhavan Kutty. Other than Indrajith, this movie will have Bhama, Murali Gopy and veteran actor Shankar in lead roles.